We raise Freedom Ranger broiler chickens out on pasture, moving them twice daily so that they can forage for bugs and greenery, run around and scratch, and hang out in the fresh air. This is not only great for their quality of life, but it results in more flavorful meat. Plus, their manure enriches the land, so they are actually part of our whole-farm fertility plan. The birds eat non-GMO and organic feed, and they are processed humanely by us, right on-farm. 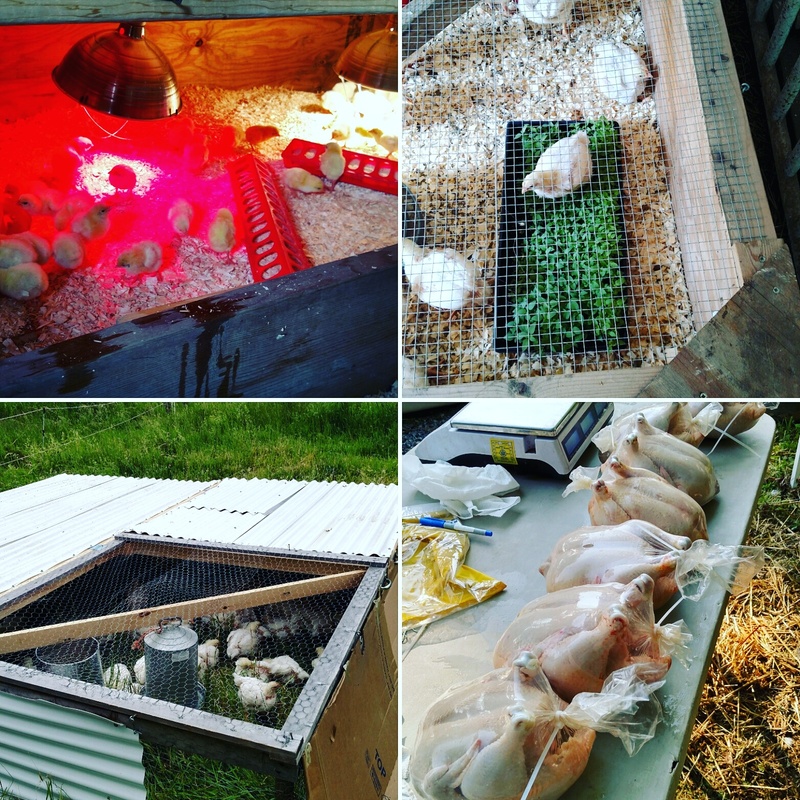 We raise our chickens in several runs over the course of the spring, summer, and fall. You can contact us ahead of time to reserve your birds, and we’ll be posting our exact pick-up dates for fresh chicken as processing approaches.